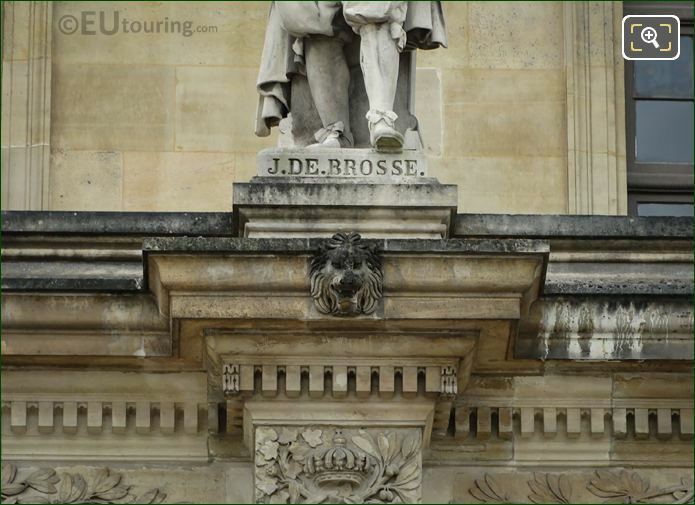 Again we were within the Cour Napoleon, which is one of the courtyards at the Musee du Louvre, when we took these HD photos of a statue depicting J de Brosse, which is located on Aile Daru in the 1st Arrondissement of Paris. 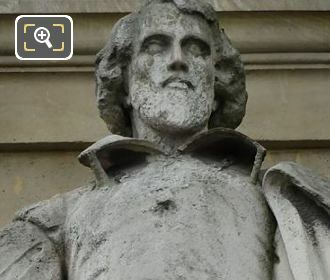 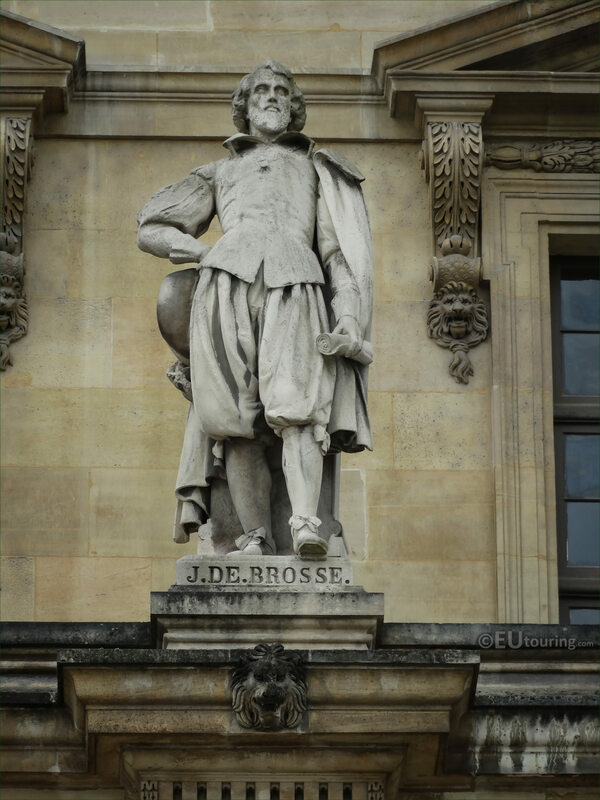 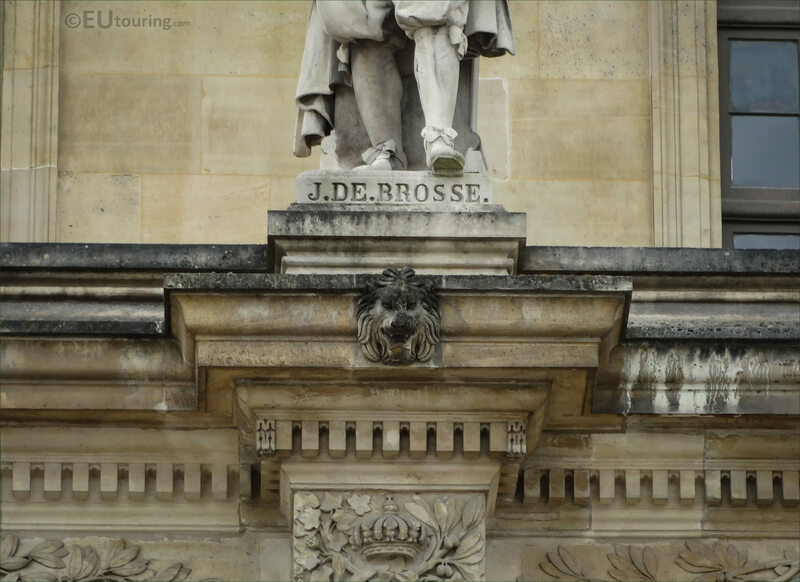 This first high definition photo show the statue of J de Brosse, which was sculpted by Auguste Ottin, and this is located on the first level in between the windows on the facade of the Aile Daru, and this particular statue can be found second in from the right hand side. 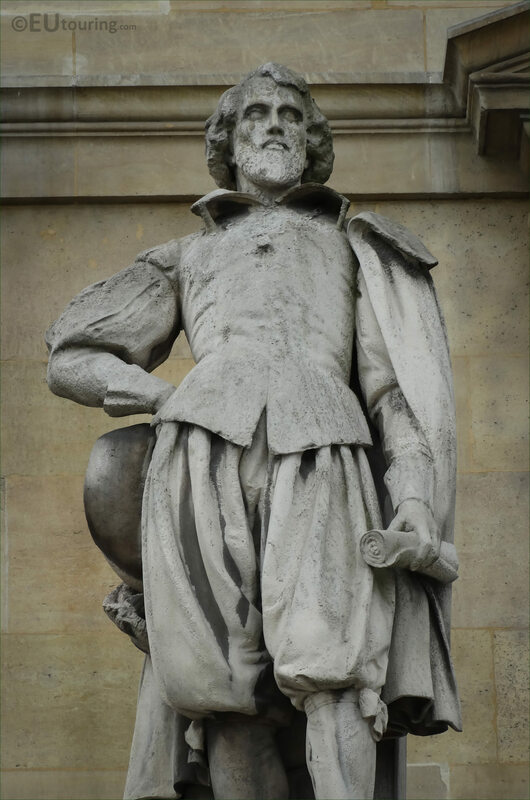 And this is a closer view showing the stone statue, which was produced by the French sculptor Auguste Ottin who was born in Paris in 1811 and passed away in the same city after having become a very successful artist, producing numerous statues such as some for the Jardin du Luxembourg including a group on the Medici Fountain, the Palais Garnier, etc. 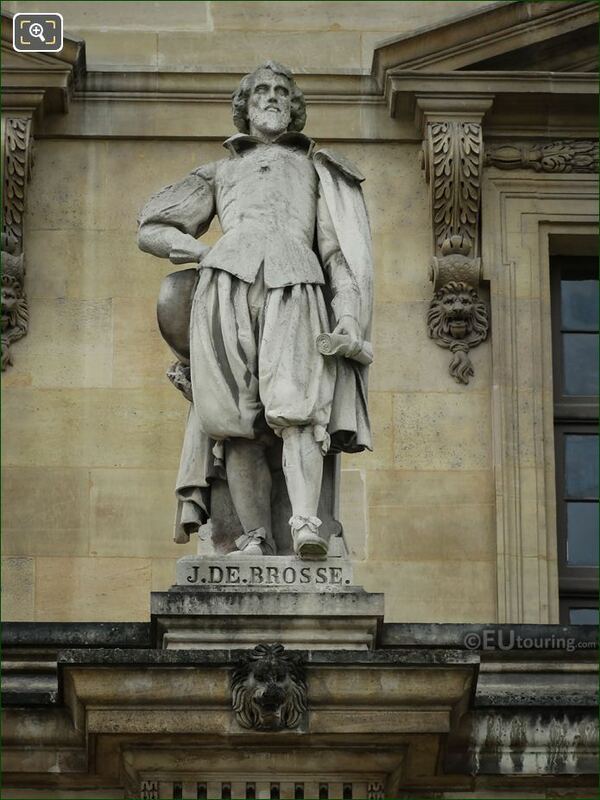 Now this last photograph shows a close up of the plaque at the base of the statue with the name J de Brosse, which refers to Jean de Brosse, however, we have been unable to determine exactly which person this was, as we have discovered there was a Jean de Brosse I, II, III and IV throughout French history, but this was put in place on the Louvre facade during the 1850s.